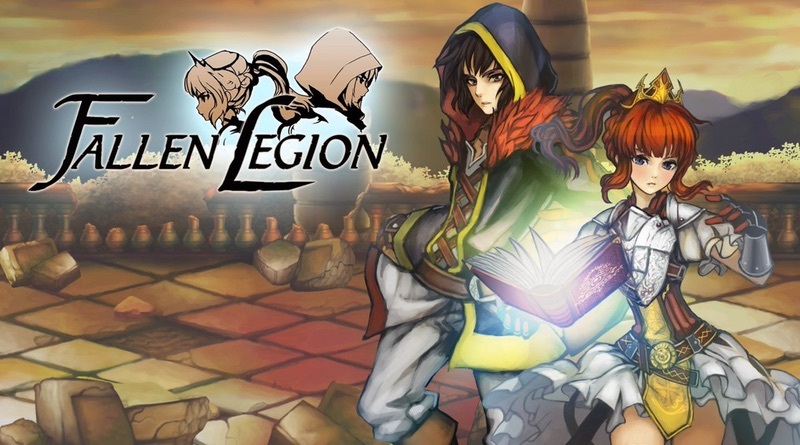 Game Review: Fallen Legion: Rise to Glory [NIS America; Nintendo Switch] – Ouch That Hertz! Publishers and developers have always found a way to lock away content for various reasons. For example, Game Freak has always released two versions of a Pokémon game with version exclusive Pokémon and trade-only evolutions. This was done to promote human interaction (GASP! ), but inadvertently led to gamers buying both versions and trading with themselves. Back in 2010, EA announced they were adding online passes to their games with multiplayer. This was a one time use code that allowed the redeemer access to the multiplayer content and was EA’s attempt to make money off games sold in the secondhand market. It also lasted way longer than it should have, as it was finally shuttered in 2013, with only a few “Oh yeah THAT was a thing” moments when one of those games is made backwards compatible on the Xbox One. Then there are the games that have sister or interconnected games released on a different platform. Which brings us to Fallen Legion: Rise To Glory, a definite package of the PlayStation 4 game Fallen Legion: Sins of an Empire and the PlayStation Vita game Fallen Legion: Flames of Rebellion, that is being released on the Nintendo Switch. The games, which was developed by YummyYummyTummy Games and published by NIS America, features the same gameplay loop and characters, but with each game focusing on a different side of the story. Sins of An Empire is from the perspective of Princess Cecille who inherits the Fenumia throne from her deceased father at the beginning of the story. She also inherits an omniscient talking book by the name of Grimoire who offers “advice” and pickily feeds on the souls of the dead. Flames of Rebellion sees us flip the coin and view the tale through Legatus Laendur, who is a brilliant tactician that wishes to rebel against the kingdom who conquered his home country. The story starts out well enough and includes “cut scenes-” static images with portraits popping in and out of focus as the characters speaks- that are featured in both games. This is where being a sister/interconnected game hurts the single releases. If a player only played one of the games during the original release, then the player missed half of the story in a game where the plot already does itself no favors. Not only is the overarching story not fully fleshed out in the main cut screens, a lot of the action is behind the kingdom management aspect of the game. This involves having a prompt come up two to three times a level between battles that gives you a scenario and three choices to make. This is a timed prompt, so the player must quickly read and choose their response, further making it difficult to digest what is happening in the world the player is supposed to be immersed into. Not only this, but those choices dictate the kingdom’s morale and the story path the character takes. The biggest issue, though, with the story is that outside of the main characters, there is no character development. The secondary cast come and go, or are mentioned at points, but they stay one-dimensional throughout the story and their plot beats do not leave any emotional impact whatsoever. Then there is the fact that the Exemplars is not explained well while also being the vast majority of the player’s combat. They seem to be historic figures and/or folk legends who the character can summon as part of their squad if they close their eyes and think really hard about the weapon they wield. I’m not even kidding about that last part- that is how it is explained in the dialogue. Yet, as the game progresses, the player fights mini bosses that can be summoned after defeating them. It just further confuses the whole Exemplar part of the game and, again, takes away immersion from the world the player is supposed to be fully immersed in. While on the topic of combat, which is much of the game, it is in essence real-time combat. However, it has a sense of turn-based, as the player has to manage the squad’s Action Points. A full circle allows that player three attacks for each of the three members, but if the player burns through them quickly, the squad must sit inactive and not attacking while they replenish. Do not expect to just hold down the shield button and replenish as it stalls while the shield is up. While this is done to add strategy and to discourage button mashing, the player could time things correctly and still be left with no Action Points during a crucial moment in battle. This is where practicing the parrying timing is crucial. Not only is it the only means of getting through some of the boss battles, it also replenishes some of the Action Points circle. At the end of the day the gameplay loop gets dull and tiresome when it is the same thing over two games. Review code provided by NIS America; all games played in handheld mode.